Pre-assembled halyards make for a quick replacement. 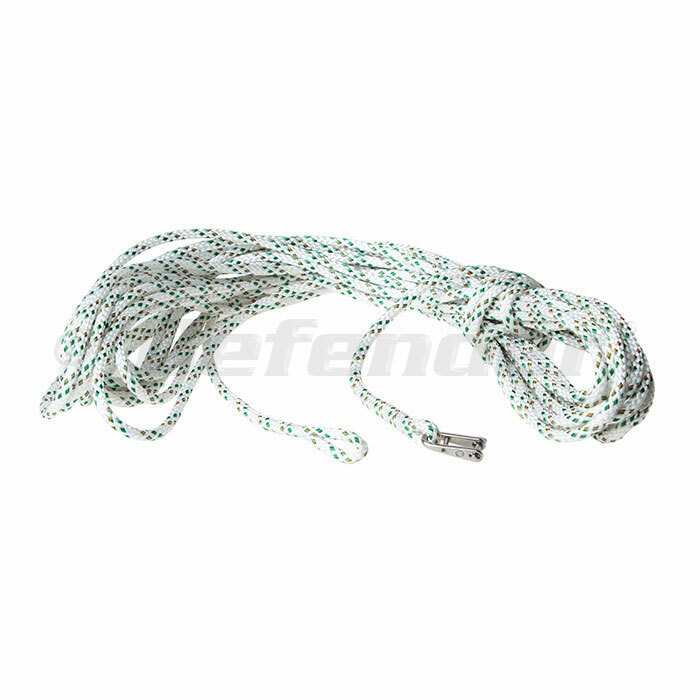 Our rigger makes replacing a worn or damaged halyard easier with pre-made halyards to fit a range of applications. Each of these halyards is assembled using New England VPC line with an eye spliced for a shackle and reeving eye at the tag end. VPC is a quality Vectran and polyolefin mid tech line designed with the casual racer or offshore cruiser in mind . The reduced stretch will offer better control of luff tension and draft location. The included Wichard shackle is sized to match halyard diameter and is made using 316 stainless steel for superior corrosion resistance. At the tag end is a reeving or Flemish eye to make running your new halyard through the mast easier. We recommend running a light line messenger when the old halyard is removed so that it can be tied to the reeving eye of the new halyard. Change out that old, stiff or damaged halyard with a new one from Defender.